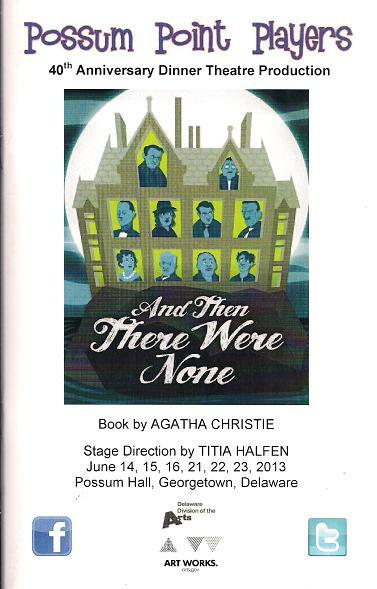 And Then There Were None is widely considered Agatha Christie's most beloved play. Ten guilty strangers are trapped on an island. One by one they are accused of murder; one by one they start to die. 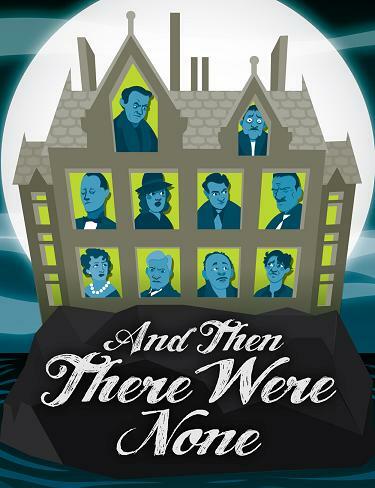 In this superlative mystery comedy, eight guests who have never met each other or their apparently absent host and hostess are lured to the island and, along with the two house servants, marooned. 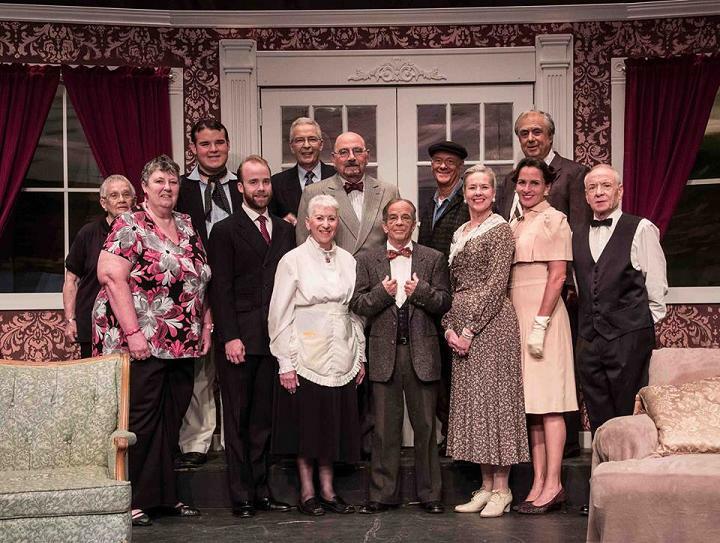 PPP is offering a special 3-SHOW COMBO TICKET for the three remaining shows of its current season: AND THEN THERE WERE NONE, our annual dinner theatre presentation (ticket price includes dinner! ), the Delmarva premiere production of the acclaimed musical LES MISÉRABLES, and our delightful holiday show, CHRISTMAS BELLES. 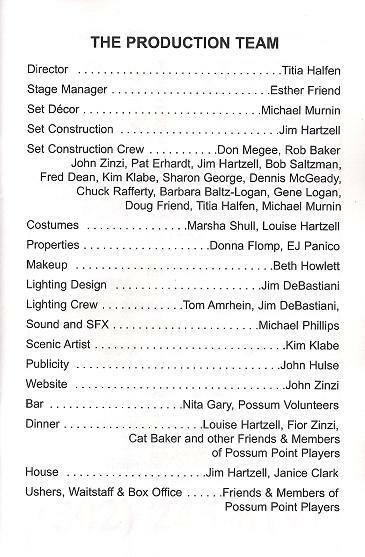 The combined reserved seat combo ticket price is $82 ($79 for senior and students) and can be ordered by calling Judy Venturini at the PPP office at 302-856-3460. Don't miss out. 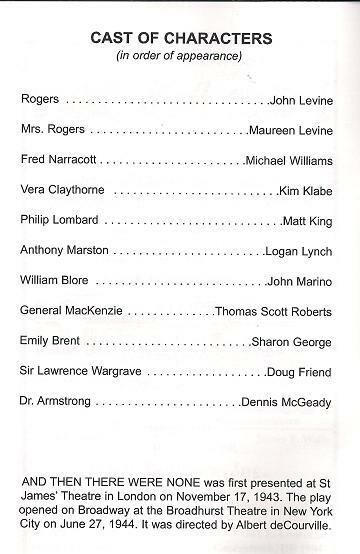 Call now and guarantee your seats for the exciting second half of 2013 at Possum Hall!